Panic attack represents a sudden onset of intensive fear which commonly develops without any apparent reason. This fear subsequently leads to many severe physical reactions. Only people suffering from panic attacks know how the condition can be frightening. The intensity of physical symptoms and signs may be so intensive that some people lose control and even end up with a heart attack. People suffering from frequent panic attacks are actually suffering from a specific disorder called panic disorder. During the attack the person may develop a whole variety of symptoms and signs. Some of them include shortness of breath, dizziness, nausea, rapid heart beat, palpitations, sweating, hyperventilation, hot flashes and abdominal cramping. Trembling, chills, headache, tightness in the throat and trouble swallowing are several more characteristics of a panic attack. The attack develops suddenly and rapidly. There are no introductory signs. The actual cause of panic attacks and panic disorder has not been identified yet. However, they are closely related to stress and may develop due to genetics or some changes in the way certain parts of the brain function. The goal of the treatment for panic attacks is to eliminate all the symptoms and signs and help the patient to live normally, communicate with other people and maintain optimal level of performance at school and work. 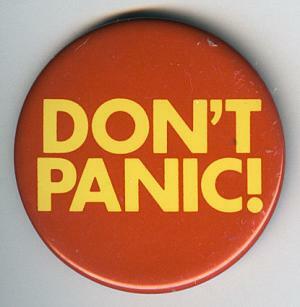 Panic attacks are treated with medications and psychotherapy. Both of these treatment modalities are effective and can successfully deal with symptoms and signs of panic attacks. They are usually recommended to patients suffering from severe panic disorder and those who have panic disorder and are already suffering from other major mental health conditions. There are several types of medications prescribed to people suffering from panic attacks. Selective serotonin reuptake inhibitors are antidepressants. In spite of that these drugs are used as the first choice in case of panic attacks. Some of serotonin reuptake inhibitors used for panic attacks are fluoxetine, paroxetine and setraline. Patients may also be prescribed with norepinephrine reuptake inhibitors, tricyclic antidepressants, benzodiazepines or monoamine oxidase inhibitors. Psychotherapy for panic attacks includes cognitive behavioral therapy and psychodynamic psychotherapy. Cognitive behavioral therapy can be very effective in alteration of thinking patterns especially those that trigger fears and panic attacks. This treatment helps patients change the way they act and behave in specific anxious situations. And finally, cognitive behavior therapy teaches patients how to adequately cope with symptoms and signs of panic attacks. The goal of psychodynamic psychotherapy is to increase the awareness of unconscious thoughts and behaviors. This way the person may finally identify the internal emotional conflict that may be associated with panic attacks.